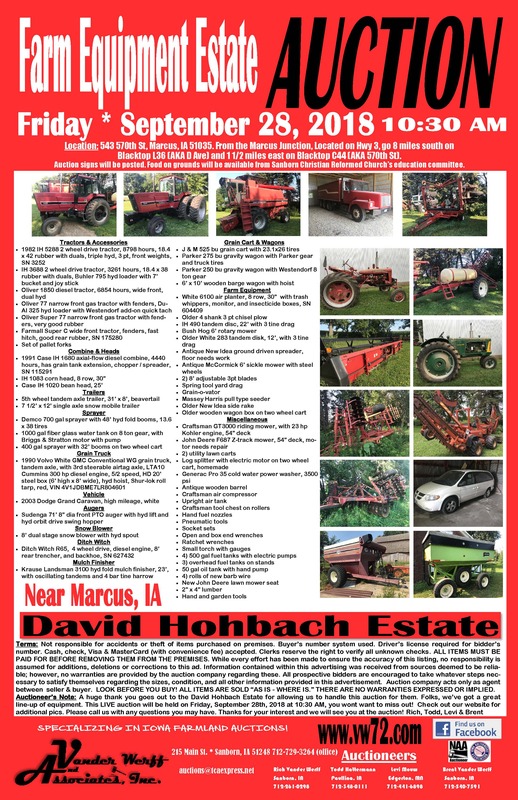 Thanks to all who came out and made our sale a success! 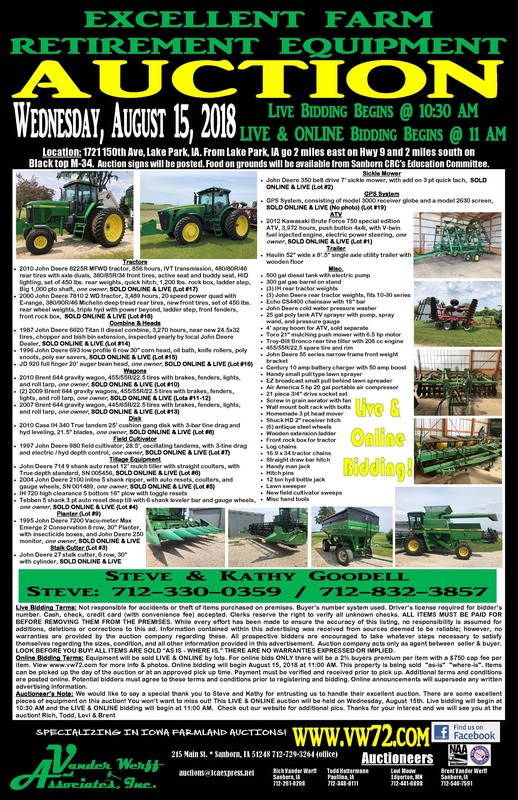 Click on the sale bill for more info! 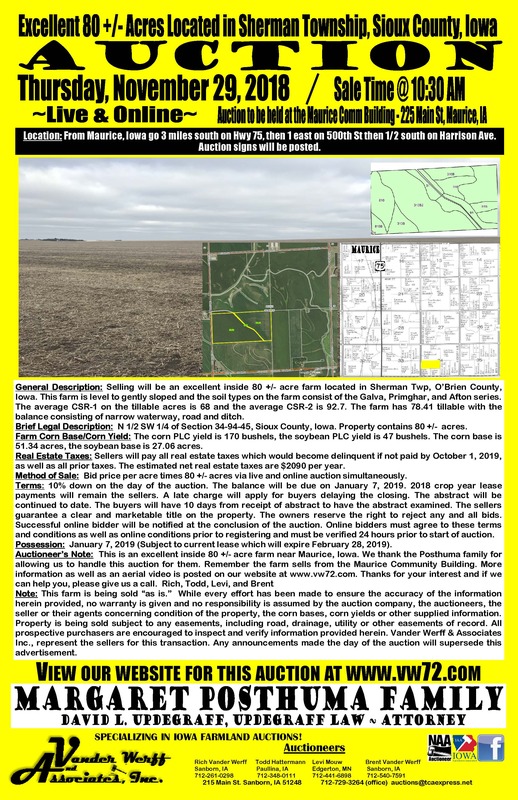 O'Brien County, Iowa Farmland At Auction!!! 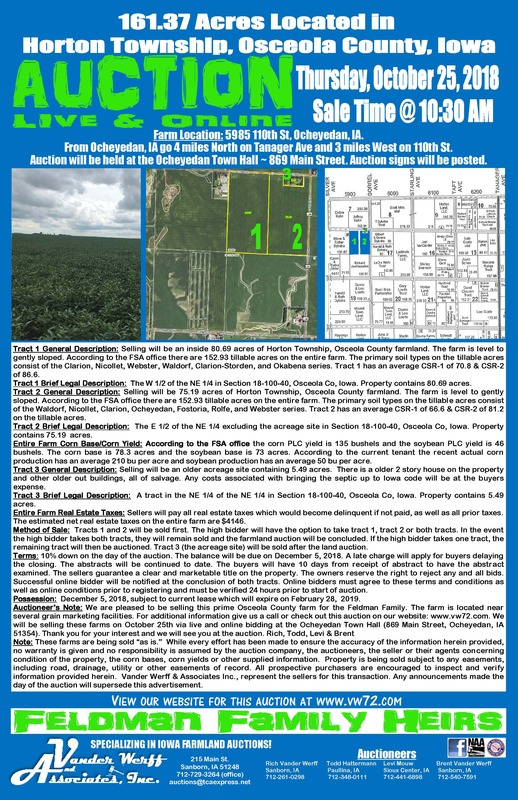 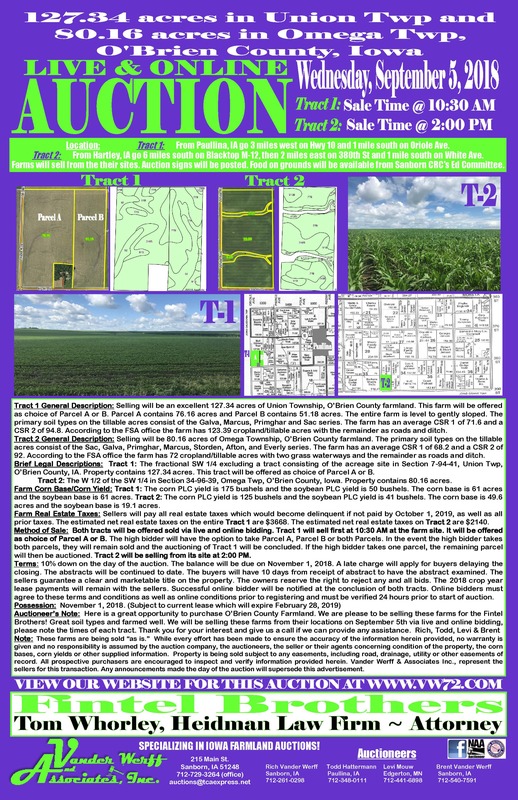 Jackson County, Minnesota Farmland At Auction!!! 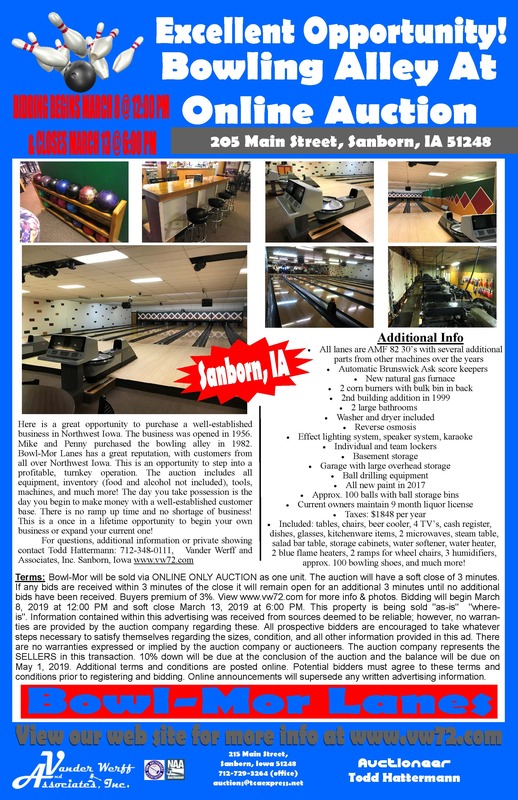 BOWLING ALLEY AT ONLINE ONLY AUCTION!!! 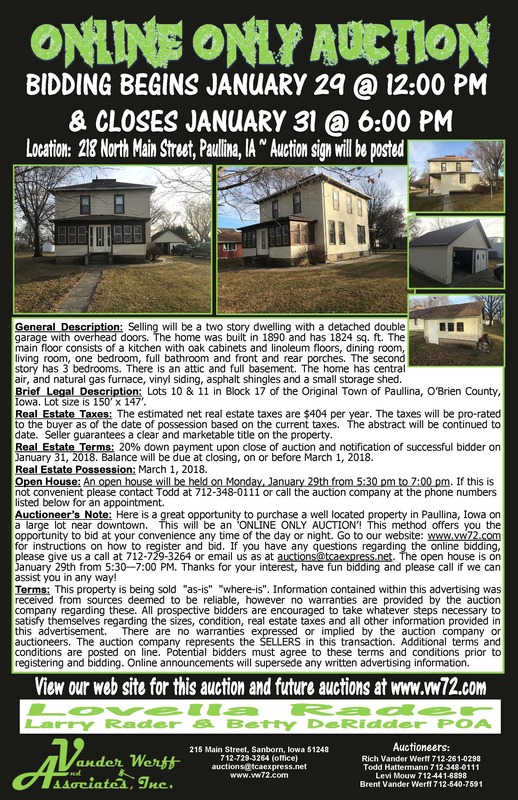 Sold for $47,000 to be run as a bowling center! 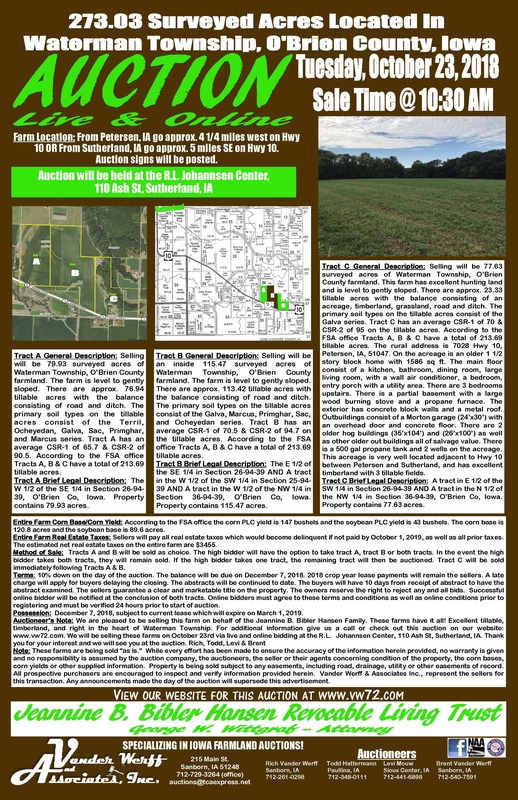 Cherokee County, Iowa Farmland at Auction!!! 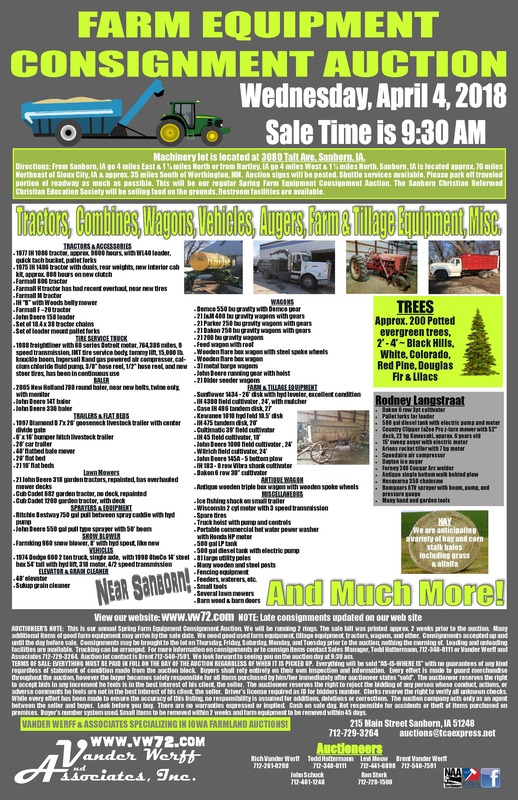 Click here for the information packet! 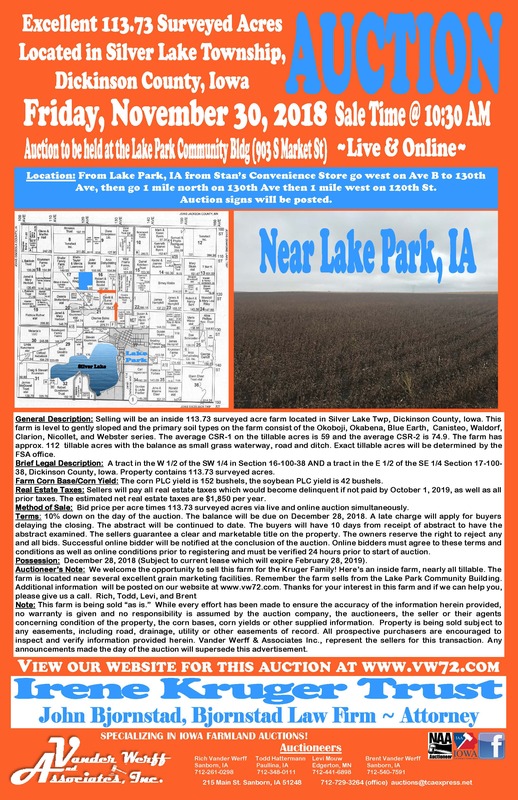 Click here for information packet! 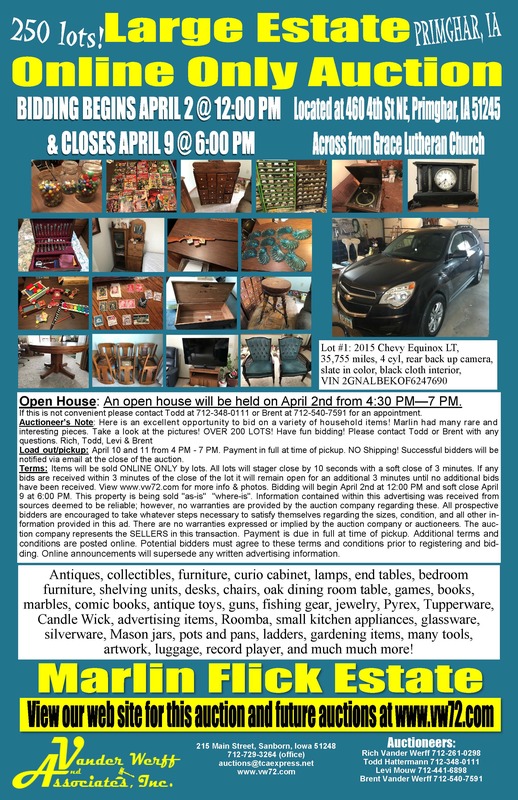 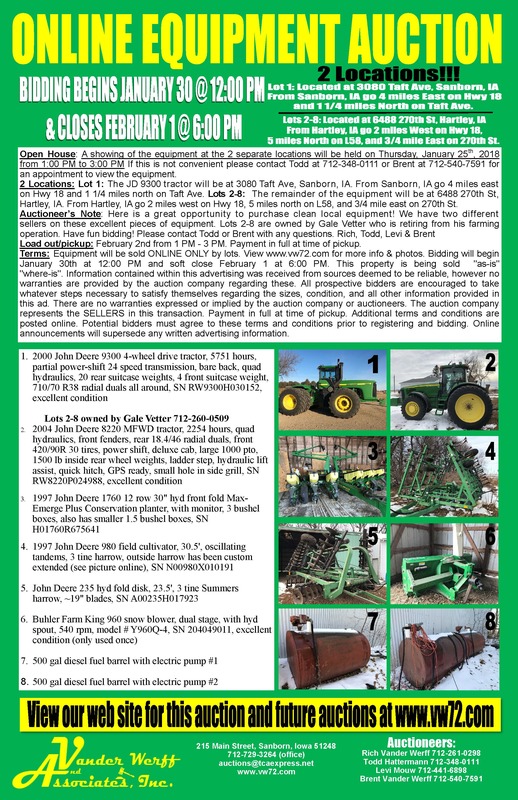 Tuesday, November 13, 2018: Grace Dean Farms, Inc.
Click here for a preview of whats going to be on this excellent auction! 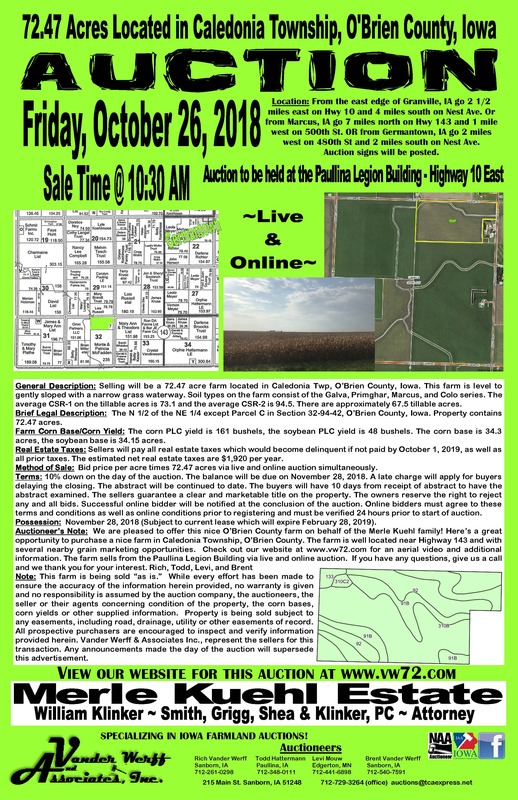 Sioux County, Iowa Farmland At Auction!!! 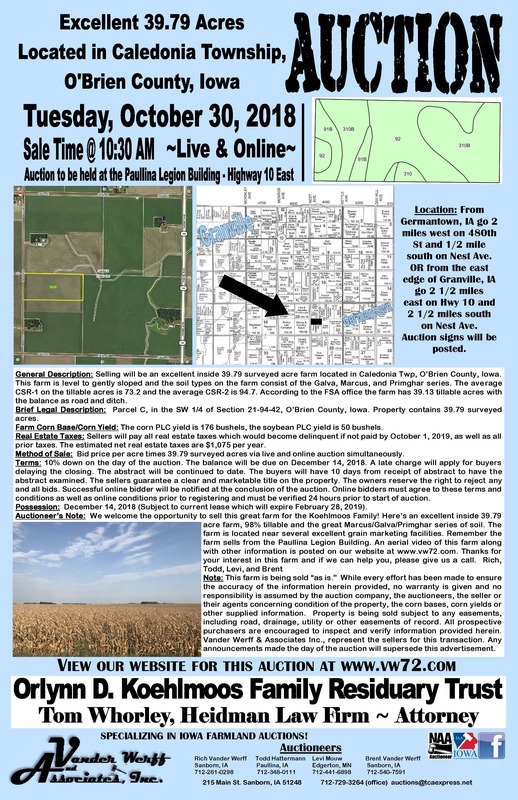 Dickinson County, Iowa Farmland At Auction!!! 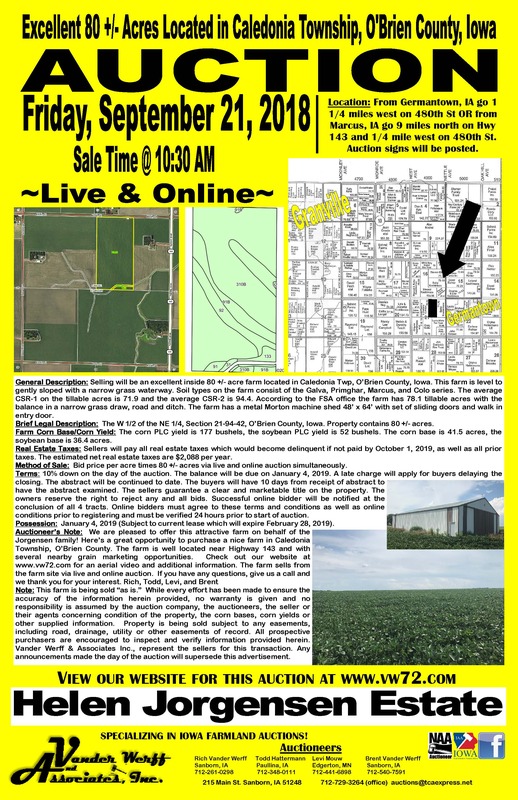 Click here for aerial video! 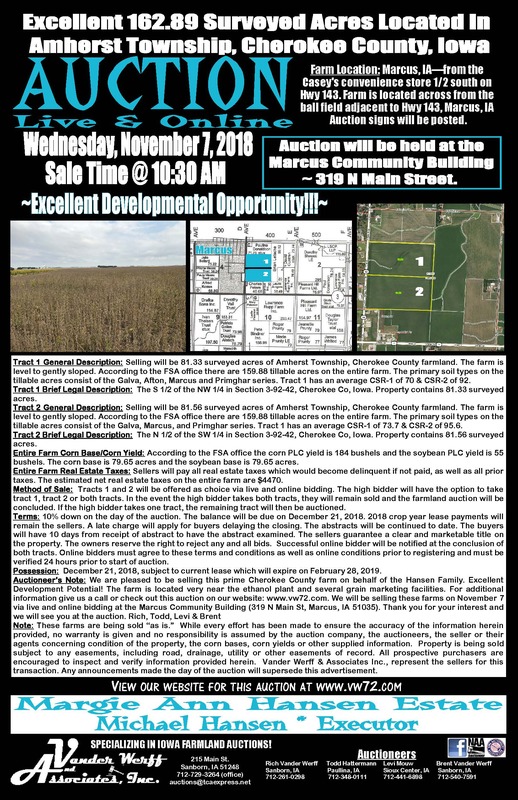 Osceola County, Iowa Farmland At Auction!!! 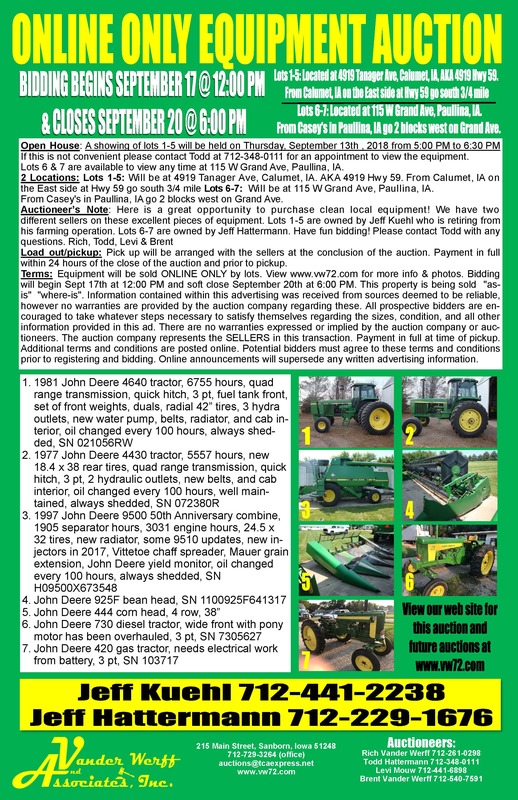 Click here to register to bid and for more info! 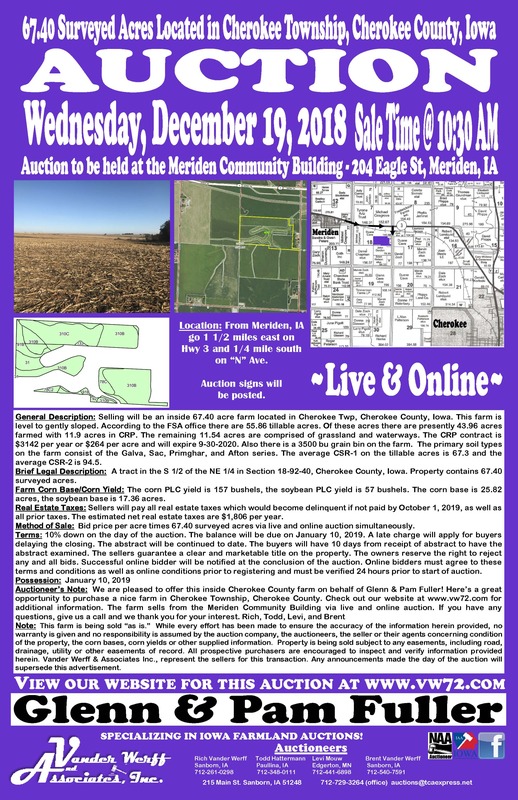 O'Brien County Iowa Farmland At Auction!!! 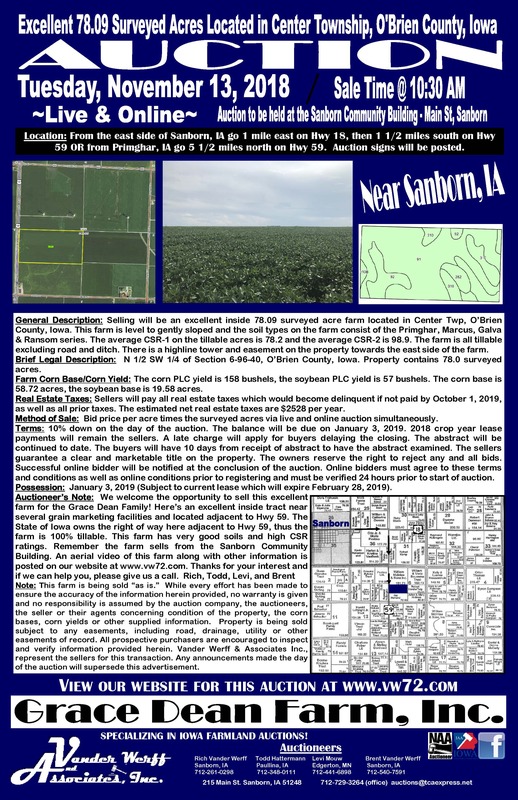 Large O'Brien County Iowa Farmland Auction!!! 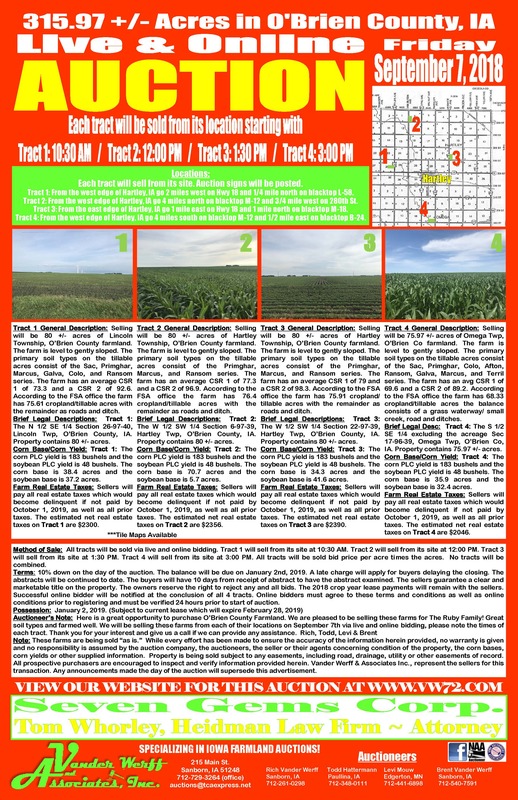 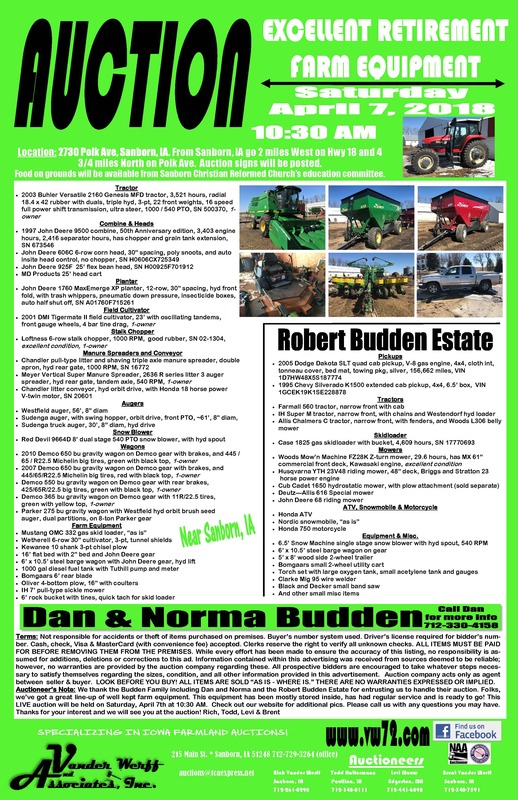 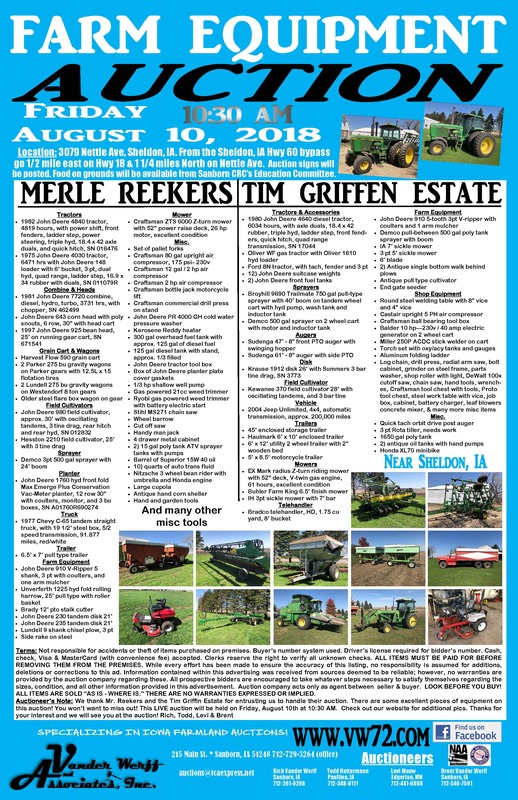 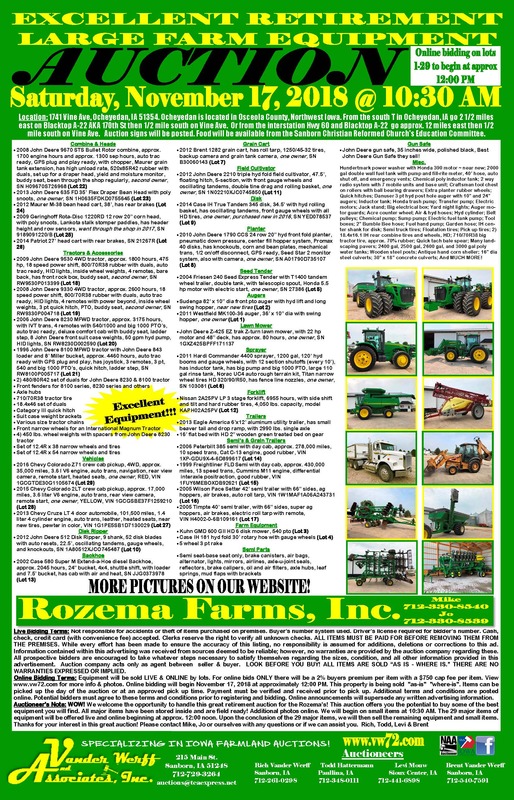 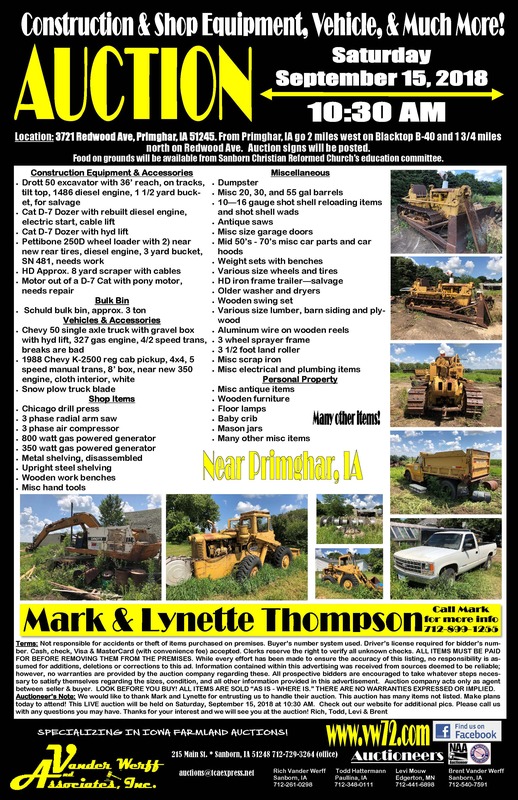 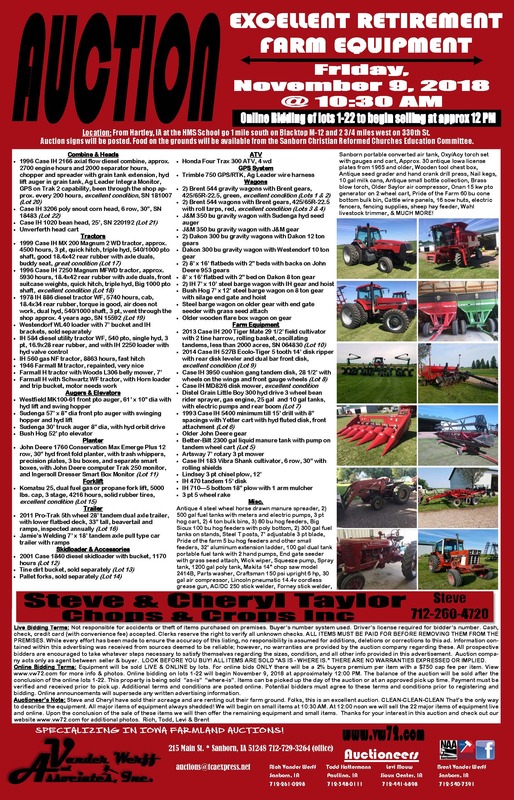 Friday, September 7, 2018: Seven Gems Corp.
O'Brien County Iowa Farmland Auction!!! 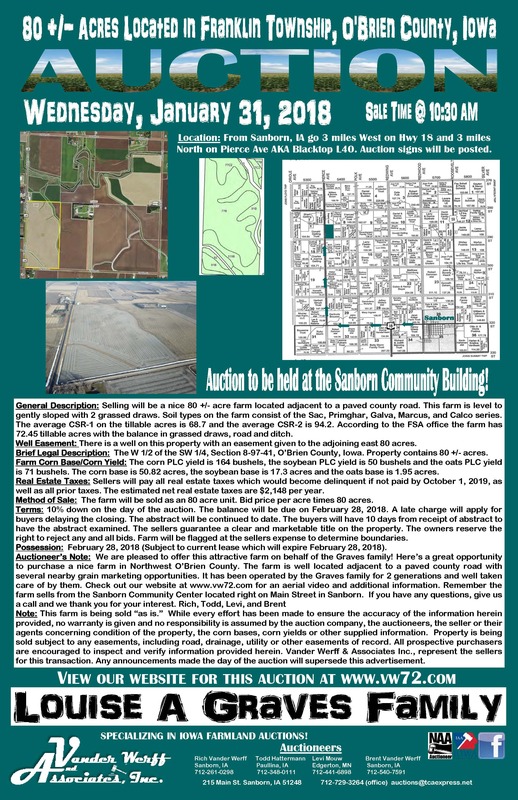 Click here for the info packet! 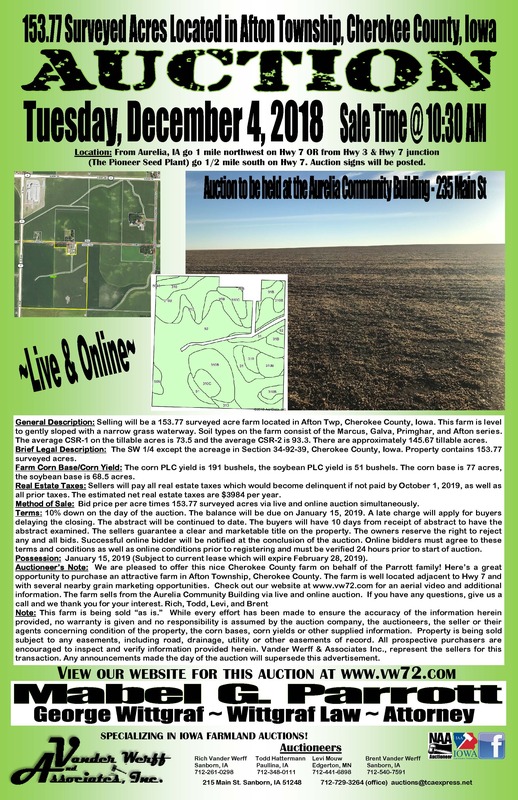 Click here for the aerial video! 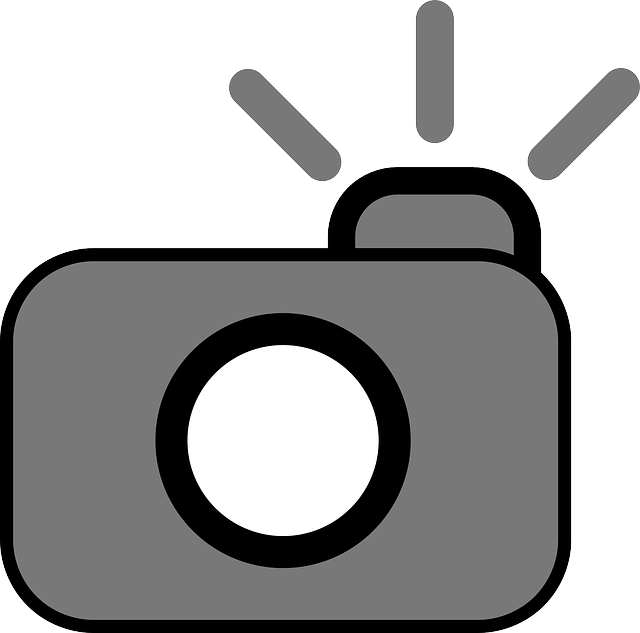 PHOTOS HERE!!! 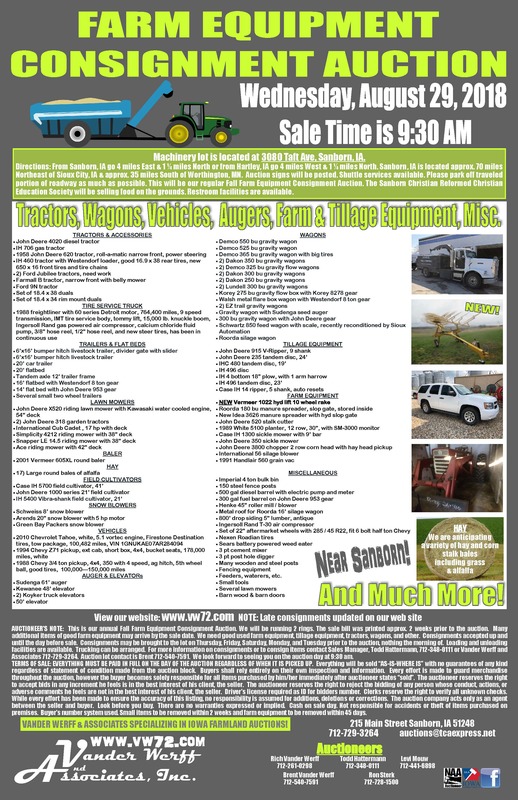 See whats at the lot! 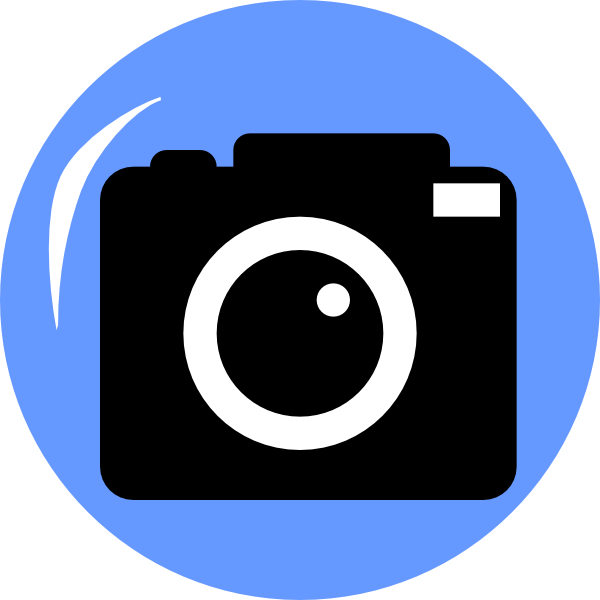 New photos added daily! 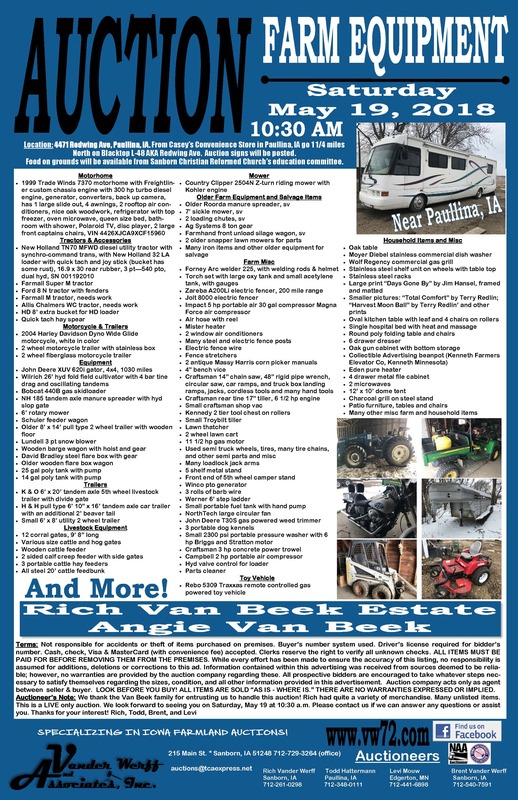 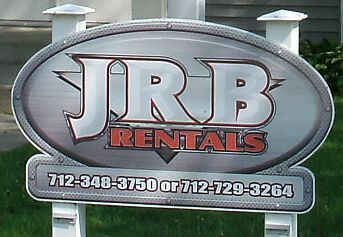 Click here for late listings and photos! 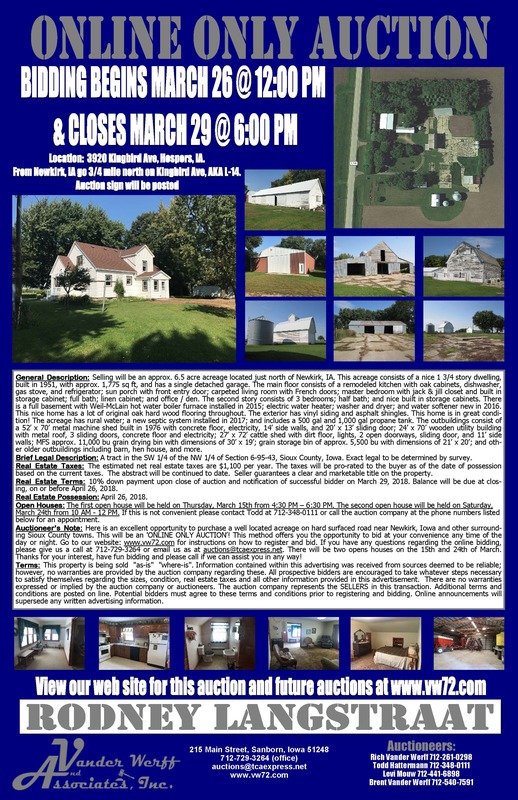 Click here for an aerial video of the farm!